"Matchplay, involving top class players, appears to be a lottery at times, and is best illustrated by the fact than none of those teeing-up this week managed to survive the group stages in each of the last three years." With The Masters just over two weeks away, most of golf's leading stars have made their way to Texas for the WGC Dell Technologies Match Play tournament. Starting Wednesday, it will be the third successive season that this World Golf Championship event has been held at Austin Country Club. Designed by Pete Dye, the course was opened in 1984, although the club itself dates back to 1899, since when it has moved location on two occasions. Low-lying, with sizeable greens, the layout meanders close to the south bank of the Colorado River. As with each of the past three instalments, the 64 players are divided into 16 groups of four. Only the group winners remain in town for the weekend's knock-out phase, with the eventual champion taking home a cheque for more than $1.6m. Despite the huge prize money on offer, five players have turned down the opportunity to compete this week. They are Henrik Stenson, Justin Rose, Rickie Fowler, Adam Scott and Brooks Koepka. Stenson has indicated he is not a fan of the four-man group format, which became part of this event in 2015. The Swede has not teed-up in the WGC Matchplay since it moved to Austin and, together with Rose, does not believe this style of tournament will benefit his preparations ahead of next month's Masters in Georgia. 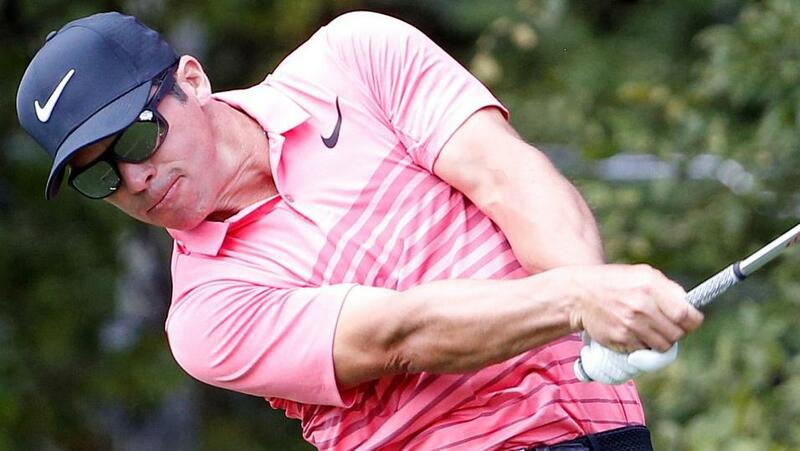 Rose, Scott and Fowler, who is the highest-ranked American taking a rest, also stayed away last year, while reigning US Open champion Koepka has still not recovered from suffering a torn tendon in his left wrist. From a betting point of view, trying to select a winner is more difficult than normal, when it comes to matchplay. Matchplay, involving top class players, appears to be a lottery at times, and is best illustrated by the fact than none of those teeing-up this week managed to survive the group stages in each of the last three years. Even a player of the stature of reigning Masters champion Sergio Garcia, has only once reached the quarter-finals of this tournament in 15 attempts. That said, despite the unpredictable nature of matchplay, the tournament more often than not crowns one of the game's top stars. Finding momentum early in the week is always vital when matches are contested over 18 holes. So who are the current Kings of Matchplay, from this week's group of players? Dustin Johnson, the reigning champion, also reached the last eight in 2016. Jason Day is a two-time winner of this tournament, while reaching the semi-finals on one other occasion. But when the Aussie was defending his titles in 2015 and 2017, he finished bottom of his group. Rory McIlroy has been both a winner and runner-up at the WGC Matchplay Championship, and will travel to Texas on the back of his excellent victory on Sunday at Bay Hill. The 28-year-old's success in Florida was his first title in over 18 months, and an in-form McIlroy will certainly intimidate most of those playing in Austin this week. Paul Casey, similar to McIlory, is another confident golfer right now. The 40-year-old collected his first PGA Tour title for nine years, when winning at Innisbrook two weeks ago. The Englishman has twice been a runner-up in this event - albeit as far back as 2009 and 2010 - and he has twice safely negotiated the group stages during the past three years, which represents a good run in this tournament. Former winner Matt Kuchar is the only golfer, among those in Texas this week, to have reached the last 16 in four successive years during the past decade. And one other name to be thrown into the ring is that of Patrick Reed. Although the American has never gone further than the last 16, in four previous attempts, he does have good current form, as he searches for his first Tour win since August 2016. He also possesses an excellent record when representing the United States in both the Ryder Cup and Presidents Cup, boasting an overall tally of 12 points from 19 matches. RU - runner-up; SF - semi-finalist; QF - quarter-finalist; L16 (beaten in last 16). Same applies for L32 and L64. Gp-2 (finished second in group). Same applies for Gp-3 & Gp-4.